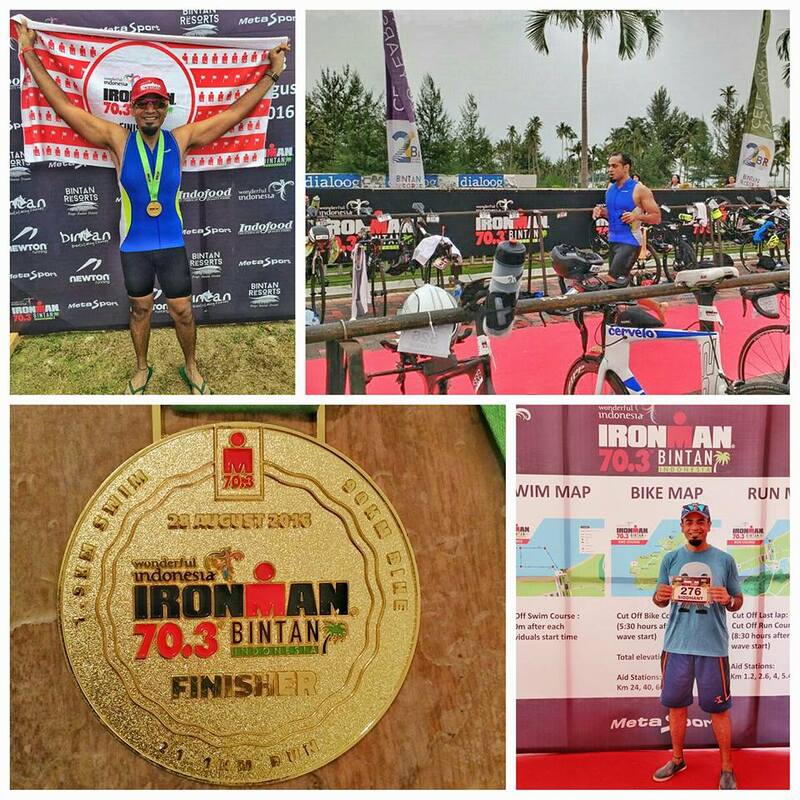 Ironman 70.3 Bintan will always be a special for me. Not only was it my first Ironman event, but also my first triathlon and maiden open water swimming experience. 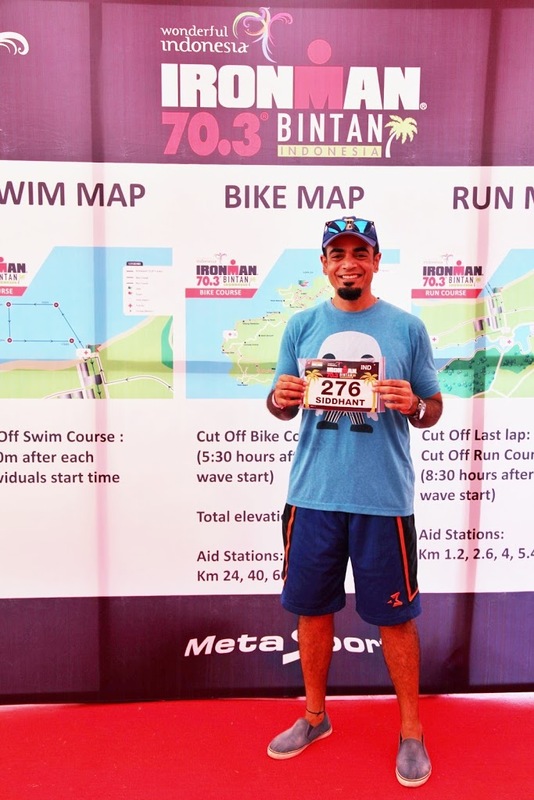 When I finally decided to sign up for my first triathlon, it wasn’t very difficult to zero down on an event from the numerous options available year round. The two deciding factors were – proximity to my base location (New Delhi/NCR) and the timeline. 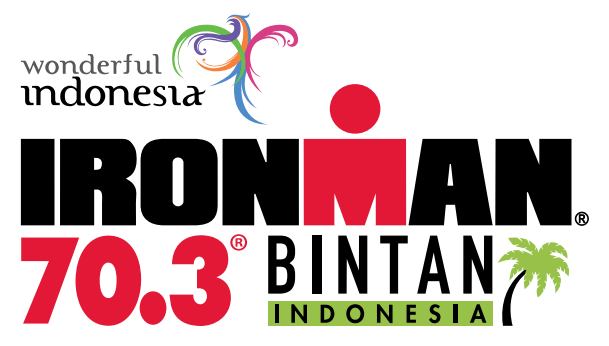 Based on this I shortlisted IM 70.3 Bintan (Aug) and IM 70.3 Phuket (Nov). I personally think Phuket is a better location and could be clubbed with a short post event vacation, but the event was almost 11 months away. 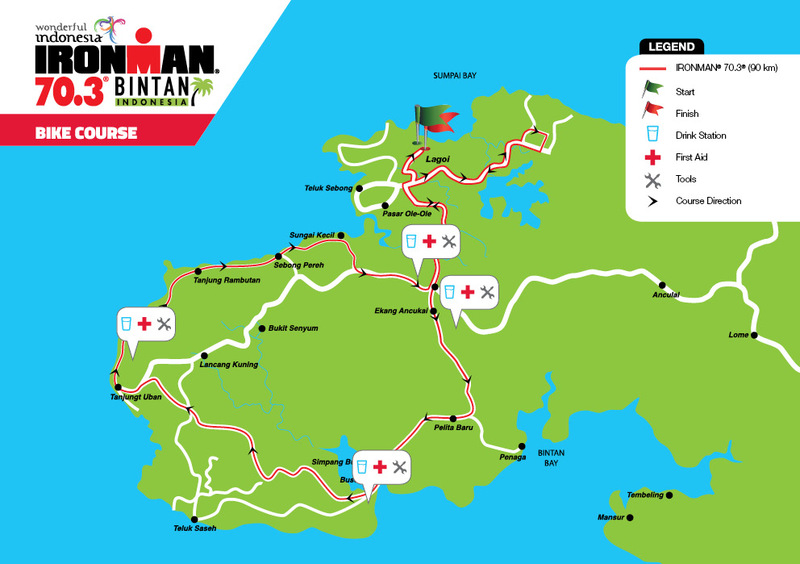 So I went ahead with Bintan, only to eventually learn about some other factors which I should have kept into account while selecting an event. My next post will focus on this area. However, this account is purely from a first timer amateur’s perspective. Running was something I never enjoyed. Hence I spent some months over a course of two years to get comfortable with running a half marathon distance. In the process, I also ended up doing a full marathon to understand where I stood in terms of fitness. I had started cycling a year before, but this was on an MTB with most of my saddle time on roads compared to trails. Found a good deal on a carbon road bike 2-3 months before signing up for the event. Sold off my MTB and picked up the road bike and eventually started getting used to the aggressive riding position. Coming to swimming, the last time I had jumped in a pool was almost 20 years ago during my school days. But this was something which dint make me uncomfortable and I was confident that I will pick it up during the course of training. Well, this misconception dint last more than 5 minutes into the pool when I began gasping for air in merely 20 meters. And as I began clocking more time in the pool, I started feeling dizzy after swimming in the pool for 25 mins. There was no turning back, I told myself and eventually managed to fix this. My training ground for the entire period was limited to 17-22 meter pools with max depth of 5 feet. 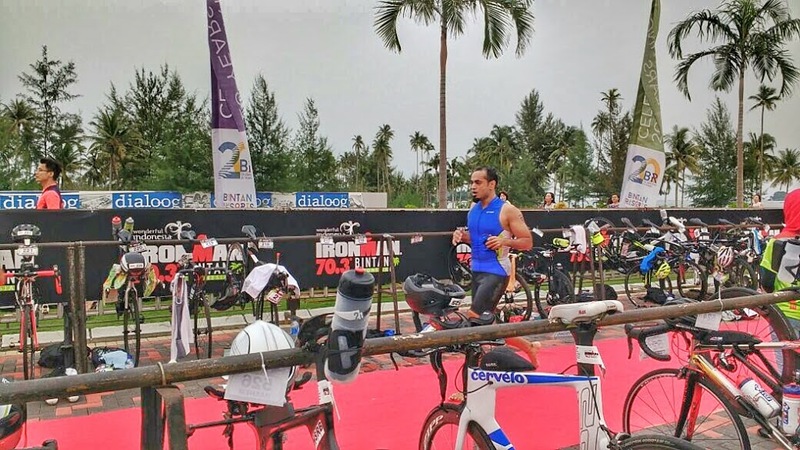 Searching for training programs online, I realized that they did not offer the kind of flexibility that I was looking for and most of them were meant for triathletes with a certain fitness level. I realized that one size doesn’t fit all. I needed a program which would factor in my existing work and personal life routine. 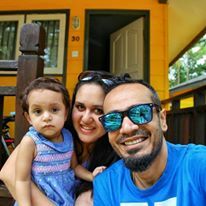 With a daughter less than a year old, me and my wife were already trying to settle down with this new development in our life. That’s when I approached Deepak and had a long conversation where he tried to understand my objectives and current fitness level. He helped me chalk out a customized plan and reviewed the progress on a weekly basis. It’s an absolute must to get the right coach to help you achieve your goals. Two months prior to the event, I had a road accident during one of the training rides but managed to survive it without any major injury. The bike did take some beating but it could have been worse. To mitigate any further risks, I decided to do all my remaining rides till the event on an indoor trainer – be it a 45 min interval training or 3.5 hours aerobic ride. And when I was just getting better with my running, an old lower back injury surfaced again a month prior to the event. In the past, a week’s rest would help me get back on track, but this time around it continued to linger on. It did not hamper my cycling and swimming workouts, but made it difficult for me to run post 30 mins. A sports physio did an extensive investigation and in lieu of the event, gave me a go ahead only if I resumed the follow up treatment once I was back. Since I was already hitting the taper cycle, coach threw in a few more core training workouts which helped me feel better. Deepak helped me battle the apprehensions and uncertainties in my head during this phase. 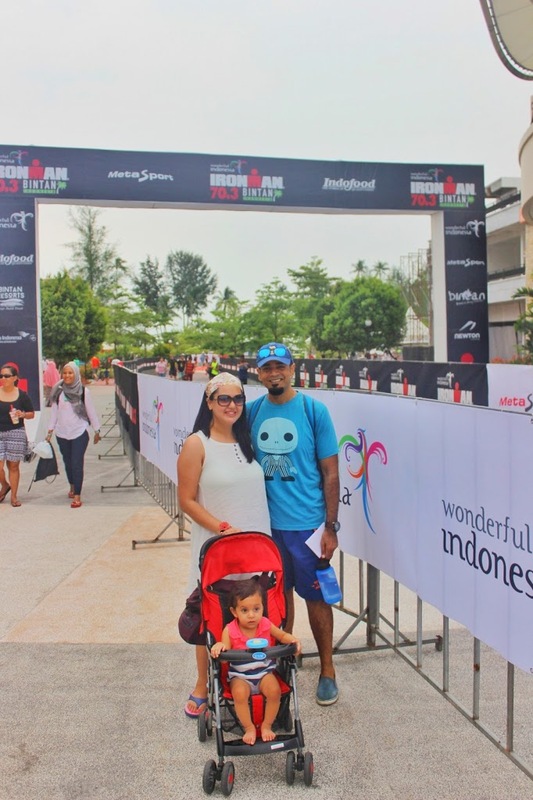 Despite sufficient hydration and nutrition support arranged by the organizers, I stuck by the thumb rule of not experimenting with anything new on the race day. The only change I made was replacing electrol with Fast and Up Reload tablets. I had planned to arrive at the destination a few days in advance to get comfortable with the weather conditions and to avoid any last minute contingencies. After a long journey to Singapore via Kuala Lumpur, we were finally glad to board the ferry to Bintan Islands. Throughout the journey, I ensured I kept a close watch on my hydration and calorie intake. First day went by just settling down and recovering from the long travel. Did a quick recce of Nirwana Resort and got myself familiar with logistic arrangements for athletes to commute between the resort and race venue. I ensured that I attend the swim, bike and run recce scheduled two days prior by the organizers. 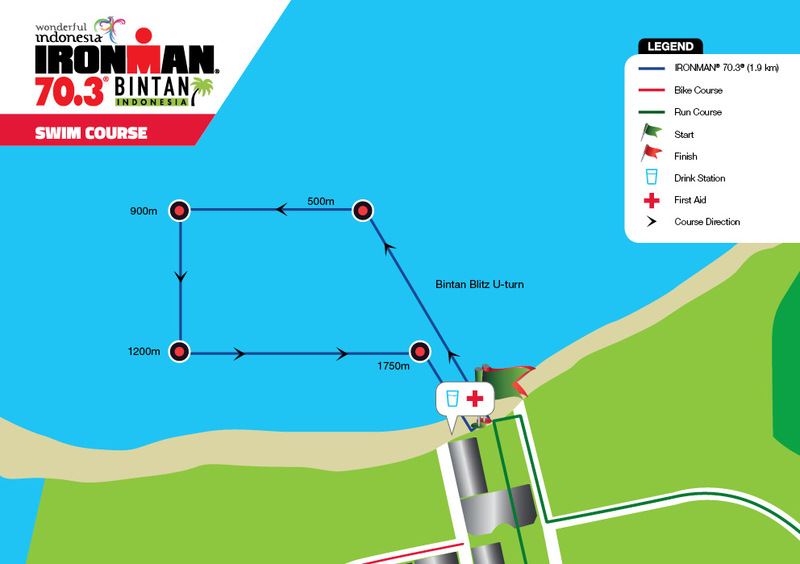 And during this course, I also managed to squeeze in a 15 min swim session in open water. The bike recce was extremely helpful as it gave me a good view into the route which looked more than rolling for a larger section. A team of mechanics was setting up their service station at the venue towards the end of the day. To avoid the rush which would have built up at the expo on the following day, I decided to ride down to the venue to get the final bike tuning done post assembling it. I wrapped up the day with a light dinner – a decent mix of carbs, protein and fiber. I went for a short spin in the morning with a friend after a decent 7 hours sleep. Post breakfast, decided to drop the bike at the venue and discovered that there was a pinch puncture in the rear wheel. The spare tube came handy even before the race had started. Dropped the bike in the transition area and collected the athlete kit from the expo. Though there was a carbo loading dinner organized at the venue the same night, I decided to skip that and head back to the hotel to prepare for the next morning. Had a light early dinner and packed up everything on the checklist for T1 and T2 transitions. Hit the bed by 8:30 p.m. but woke up at 1 a.m. with an uneasy feeling, but managed to sleep off again in 20 mins. 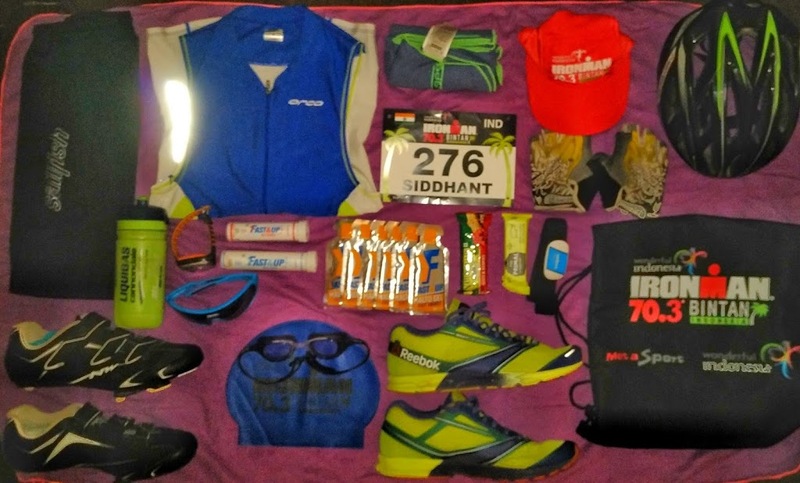 Woke up at 3:00 a.m. on the race day, had some water and got ready to head out with my transition bags. Luckily, no gut issues and that was such a huge relief. Enough sleep ensured that I don’t feel tired or lethargic. There was a special early morning breakfast organized by the resort for the participants at 4:00 a.m. on race day. I had two slices of bread with peanut butter and some black coffee. There was some anxiety in the air but it immediately felt lighter as other athletes started pouring in. I boarded the first shuttle out at 4:30 a.m. and on reaching the venue, immediately rushed to the transition area for setting up the gear. The energy level at the event was infectious and also encouraging. Applied vaseline around the tri suit lining to avoid chaffing and ensured I remember the instruction from my coach to wear swimming glasses over the cap. I went for a small dip into the cold water and then 20 minutes before my wave was scheduled at 6:13 a.m., I consumed a pack of gel. I was advised to stay away from the innermost lane and not to be right ahead in the starting line-up. Not only did I forget who said this, but also forgot to follow this advice. 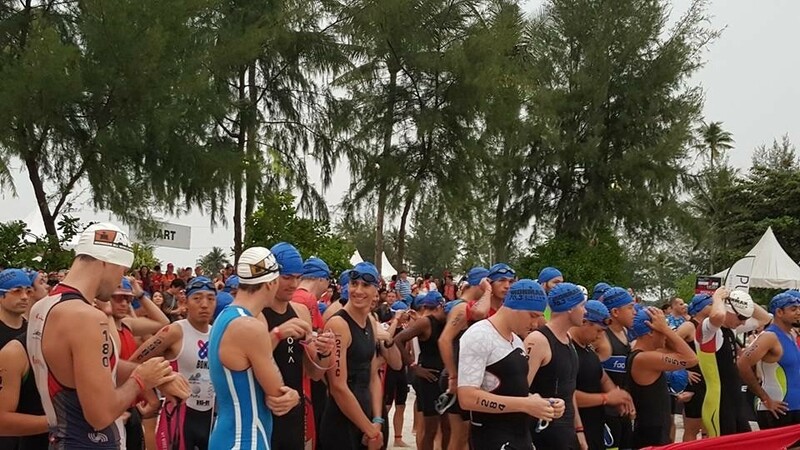 Before I could realise, I had already walked a few meters towards the starting line-up in the water for our age category. In a few seconds, I heard the horn to mark the start of our category. The next thing I remember is bodies slamming, bubbles, salty water, current drifting you away; in short – complete chaos as people tried to cross over or push you aside or behind. Felt claustrophobic, but kept telling myself not to panic. The aim for the first 200 meters was to get into a lane and only make an attempt to look ahead after atleast 20-30 strokes. Post 200 meters, I found my rhythm and without going overboard I ensured I maintained the pace and breathing pattern. Approaching the 500 meters mark, I spotted some orange caps (25-29 age category). I had to pick my pace at this sharp left turn as I could see some swimmers take an aggressive stance while approaching the corner. A few meters ahead, I spotted some jelly fish. Picked up the pace and tried to keep my eyes shut every time I dipped my head into the water to avoid panicking. Another 400 meters and there was another sharp left turn. In between, I ended up gulping large amount of salt water while pulling my head out to breath. Had to slow down to clear my throat and continue. For the next 300 meters stretch, the strong current kept drifting me to the outermost lane and I had to frequently make the course correction. All along, I had no reference point for distance and time, unlike the huge analog watch outside the small society pool I used to practice in. Finally, we were taking a turn back towards the starting point at the 1200 meters mark and I began to pace myself with a few strong swimmers. This was the longest stretch of around 550 meters before we reached the right turn to make an exit towards the beach. Relieved that I was done with the first part of the triathlon, I had absolutely no idea of the time I had clocked for this part of the race. Since my personal best in the pool was approx 52 minutes, I was hoping that I managed it under an hour. Tried to make a quick transition and head out. The sudden fresh air felt really good and I was tempted to speed off. However, resisted the temptation and remembered the wise words from my coach after the bike recce. Amongst the three disciplines in a triathlon, cycling is what I enjoy the most. Maintaining a cadence of 85+, I moved to the smaller chain ring on climbs. The first 4-5 kms were rolling with two or three short climbs, but the section between 14 kms to 30 kms mark threw in some good climbs. 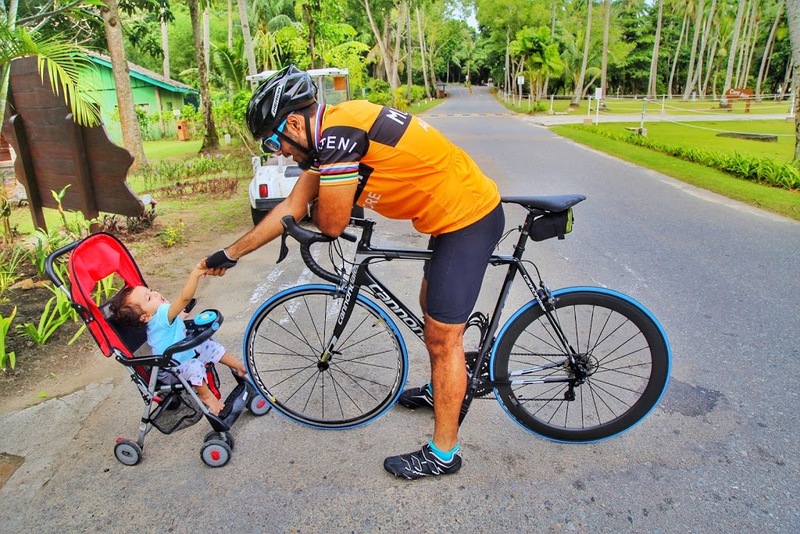 From there on, until the 50 kms mark, the terrain was relatively flat followed by some climbs until the 60 kms mark. This section also was cutting through the local community establishments and there were enough residents out on the streets cheering for the riders. 60km to 70km stretch was along the coast line and at the 77 kms, we were headed back to the race venue covering the same climbs which we tackled during the first quarter of the ride. I consumed electrolyte every 10-15 mins during the ride and granola bars every 20 mins for the first 2 hours. I had skipped the first hydration station and began refilling my sippers from the subsequent stations without getting off. Around the 65 kms mark, I could feel some cramps in my thighs and I tried to increase the amount of electrolyte. Just 15 minutes before the end of the bike leg, I consumed a pack of gel. But by the time I reached the finish line and got off the bike, I could feel cramps in my thighs. I slowly walked towards the transition area and sat down on the ground for sometime. It was already 10:30 a.m. by the time I did some stretches and picked up my running gear, I had lost almost 8 mins in the transition area. The humidity levels were high and I knew the final run leg won’t be quite pleasant. Similar to all my brick workouts, I had a tendency to start at a faster pace after getting off the saddle. But today wasn’t a training day. 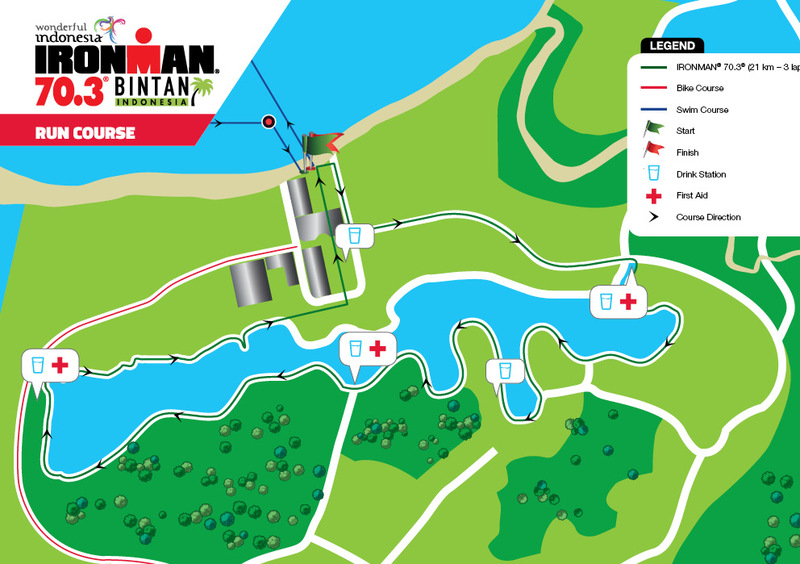 The route for the run comprised of 3 loops of a 7 kms track around an artificial lake. There were aid stations at every mile and I maintained a slow and steady pace of around 6:30 mins in the first lap. The second lap felt really long but I kept pushing myself. In the last loop, I decided to walk at every aid station but had already made a mistake of consuming different stuff like watermelon, coke and electrolyte apart from my gels in the previous lap. I could literally feel water juggling inside my tummy and by now I was moving at a pace of 7:20. Since I wasn’t aware of the time I had clocked during the swim, I was hoping to finish my run within 2.5 hour for a sub-7 hours finish. I was a little disappointed that I could not finish this under 2:30 but I was close to the finish line and I just tried to push myself for the final stretch. Crossing the finish line was an exciting moment; all the hard work put in the last few months had finally paid off. I was happy that I dint crash or crawl to the finish line. And what made me happier was the fact that I wrapped up my first half ironman distance triathlon in 6:43. I could not work out the math and was curious to know the time I clocked in swimming. It was 44 minutes and that took me a while to digest. A lot of people to thank for helping me to accomplish this – Karuna and Kenisha for bearing with my training schedule, Moose and Cherry for being good companions during indoor rides on trainer, Folks and sis for encouraging me, Deepak Raj for the training and positive encouragement throughout the journey, VeloGCR riding buddies for helping me get inducted into road riding, PK for the rear wheel, Ranjit for multiple accessories, Shiv for helping me select the road bike, Puru for delivering my tri suit in UK, Ankush for helping me source training accessories from US, Abhi for helping me the multisport watch, Vijay for helping me with the indoor trainer and Mark for lending me his bike case. And there are a lot more people who were always supportive and around for offering their help. Super proud of Sid. The post is very informative and you captured the account in details. Thank you for your kind words and encouragement 🙂 wish you have dropped in your name too! Kudos to your hard work! I feel happy about myself for running half-marthons & 10K runs. 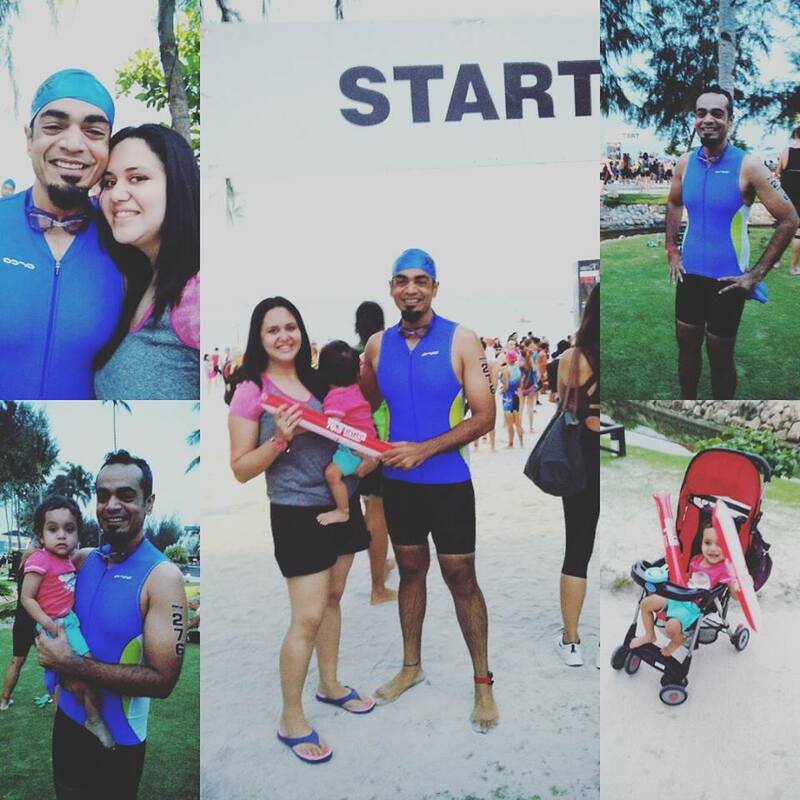 Being part of a Triathlon is a big thing and you managed it so well with your overall rank.